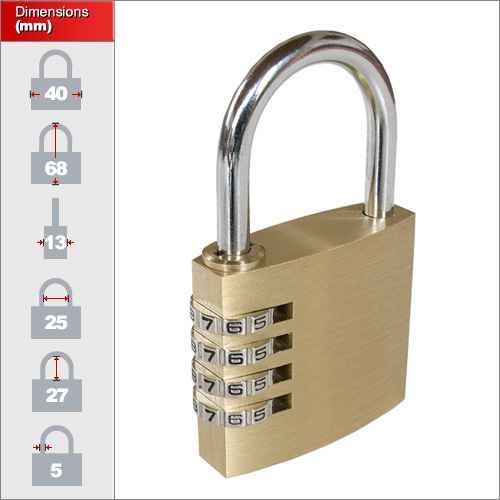 A really solid brass combination padlock with 4-digit resettable code and precision mechanism. We have these on such a good deal due to the fact they are not pre-packaged. They came from our factory with damaged packaging and are now loose without instructions. They are however easily reset usng the directions below. 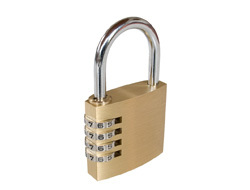 This padlock is ideal for lockers, money boxes and large suitcases. A 4-digit code offers up to 10,000 variations.